As typical for January in Philadelphia, the weather’s been pretty nasty. (See my Ice Storm Photos post on Mommy with Style from earlier today!) Besides the storms we’ve been having, it’s just been that painfully cold kind of weather where you don’t really feel like leaving the house. Combine that with Martin Luther King Day and one day of cancelled school and we’ve definitely had a little cabin fever. It’s days like this that really test my job as a product reviewer because I really get to see what toys my kids are drawn to. 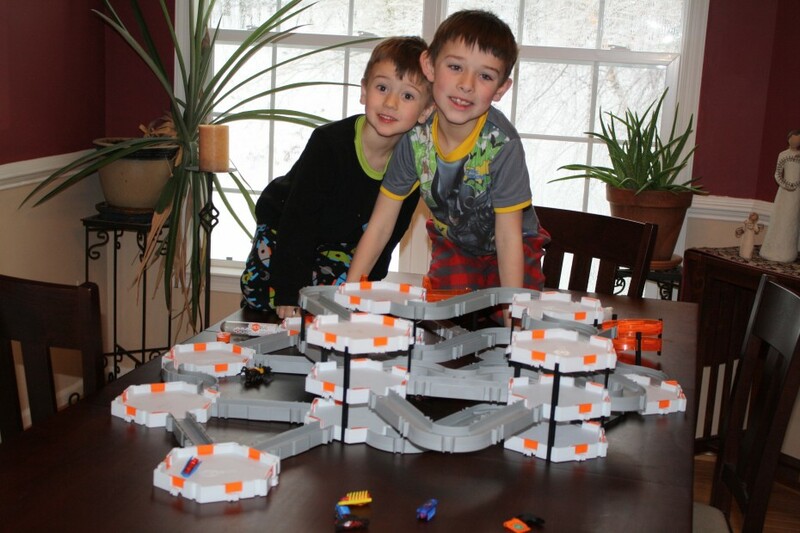 As Santa was good to them, they got a variety of HEXBUG sets. In fact, Nate (7) is so into HEXBUGs right now that he traded in another non-HEXBUG toy at Toys R Us to get an additional HEXBUG set. This picture above is several Nano Habitat Sets ($27.95 on Amazon), a Bridge Battle Set ($28.52 on Amazon, which by the way was $39.99 at Toys R Us yesterday) and a Nano Elevation Set ($49.99). Obviously this is a very involved set that my kids have put together but just starting with the Nano Habitat Set is great for any child over 3. Don’t know what a HEXBUG is? HEXBUGs are little robots that zip around and flip when they hit walls and do all sorts of fun things. Not only do my kids love them, but so do the cats! The Nano takes a small hearing aid sized battery – be forewarned that the battery can run out quickly if you leave the Nano on so always turn it off when not in use! Check out the entire HEXBUG line available on Amazon.com. 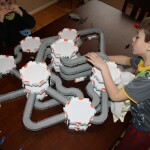 wow- some pretty elaborate envions there for those robot bugs.. sure looks like fun!